Antilles Resort at Crystal Cove sits on the eastern tip of St. Thomas. Take pleasure in morning strolls along the renowned Sapphire Beach, a ½ mile stretch of white sandy beach located directly in front of your resort. This resort is only six miles from Charlotte Amalie airport and one mile from Red Hook. Red Hook provides you with easy access to ferry trips to St. John and the Virgin Island National Park, just minutes away. 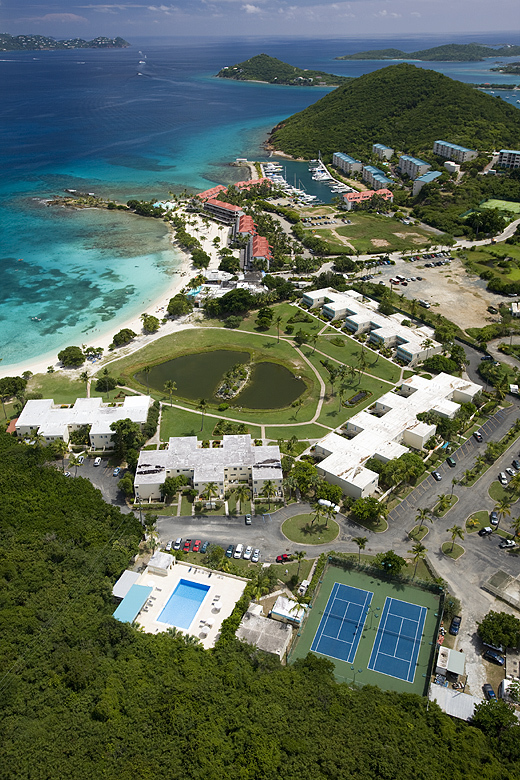 The accommodations at Antilles Resort at Crystal Cove are spacious and value priced. Their arrangement of condominiums provides for an apartment like stay with large rooms and private ocean views. The Sapphire Beach Resort features two restaurants, and is conveniently located by the Marina, which offers an array of tropical dining and the freshest seafood. When you’re not strolling along the pristine Sapphire beach, take a dip in crystal cove. Crystal cove is teeming with colorful sea life, making it a prime location for snorkeling. As a guest of Antilles Resort at Crystal Cove you’ll benefit from complimentary snorkeling equipment and free access to the beach. This makes for a great family vacation where you can see the sealife right out front of the security of your hotel. When you’re not swimming with the tropical fish, enjoy a game of tennis or swim in the large swimming pool located within the facilities.